The Swazi Wapiti Coat is a guaranteed-waterproof, windproof and highly breathable jacket made for the most demanding outdoorsmen. 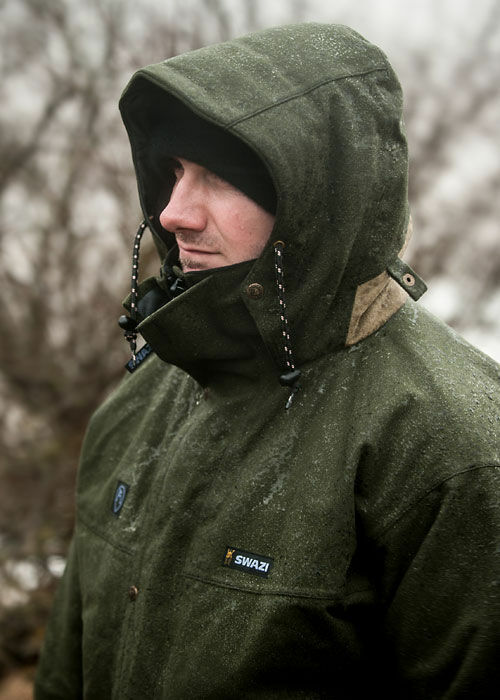 Made from the newly-developed AEGIS fabric in a tasteful Olive Green, the Wapiti is an ideal outer layer for activities like stalking, fishing, canoeing, hunting, hill-walking and general outdoor wear. 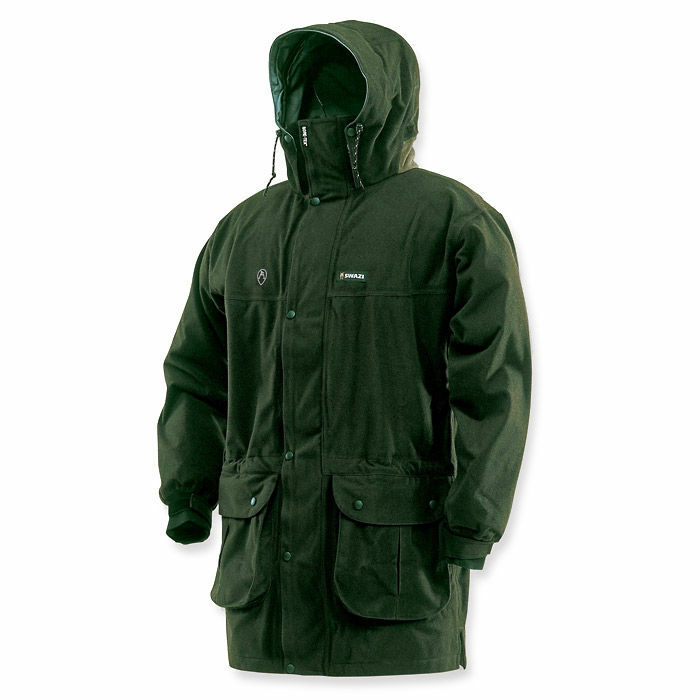 Swazi's legendary Tahr XP Anorak has undoubtedly become Ray Mears’ favourite item of clothing in recent years. Those of you looking for the same superior level of wet-weather protection but in a full-zip garment need look no further - the Wapiti Coat is here. The Wapiti features Swazi's famed hood design, offering excellent peripheral vision while keeping wind and rain at bay. The inner conforms to the contours of your face, while the outer protrudes into an adjustable peak, stiffened with a durable liner and concealed wire-lined frame. Extra comfortable stretch cuffs are concealed behind protective over-sleeves, designed especially for folk who hate cold, icy water running down their elbows! 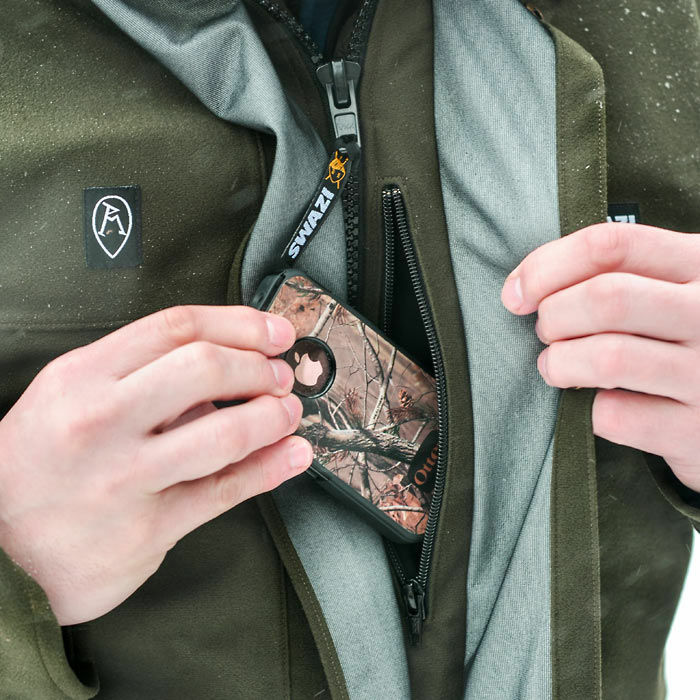 The two roomy cargo pockets are capable of holding a box of shells each, while toasty handwarmer pockets are concealed behind them. An inner map pocket is also included, which is perfect for your valuables. 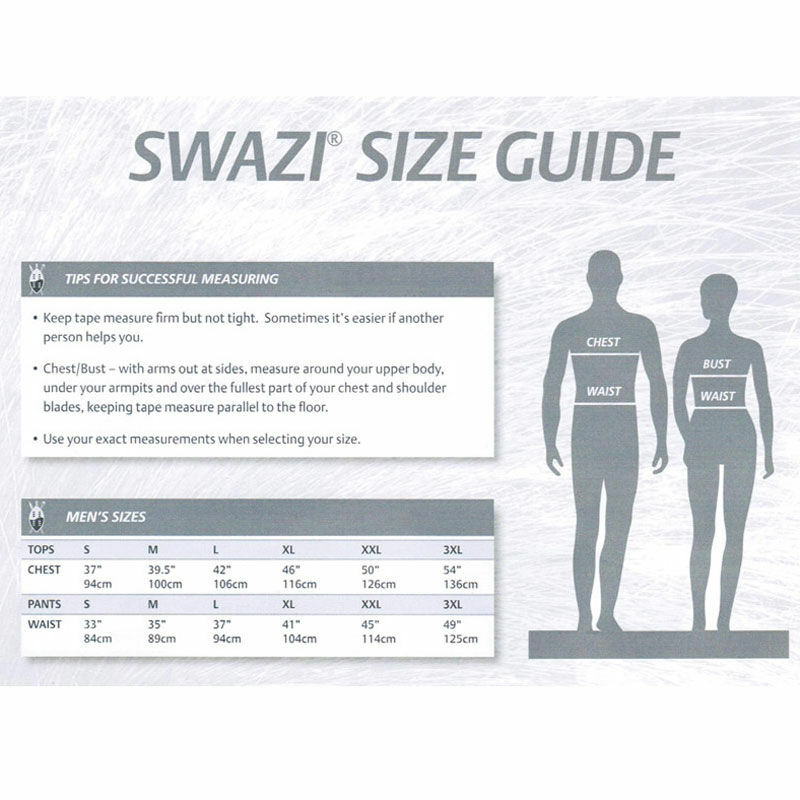 A windproof, waterproof and breathable membrane, AEGIS is in fact the most breathable fabric ever incorporated into Swazi garments. 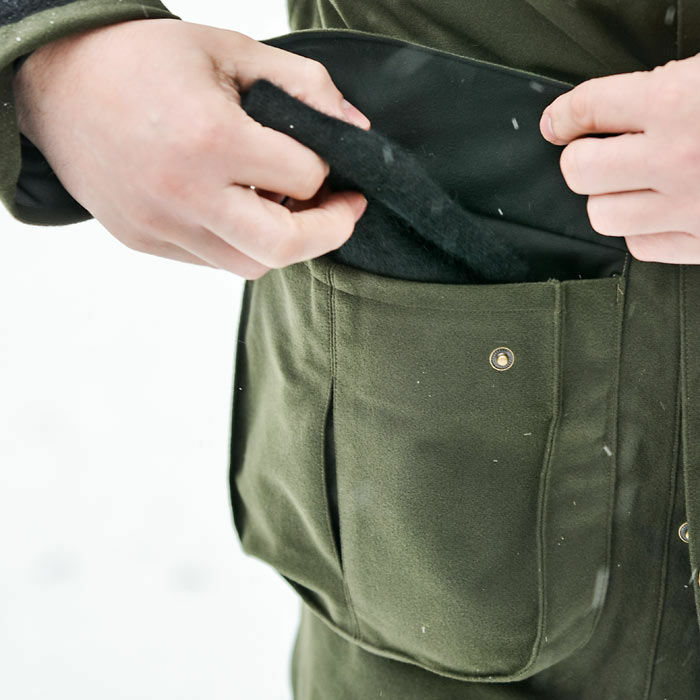 The three-layered fabric provides absolute protection from rain, snow and wind, and has been proven in independent tests to be every bit as waterproof and windproof as their old fabrics. What these tests also showed was enhanced breathability, a factor so important in any waterproof garment. As always, the Wapiti remains soft, light, incredibly quiet and unbelievably comfortable. Swazi AEGIS Wapiti Coat - Olive Green is rated 5/5 based on 7 customer reviews. It's a fine garment, but I should've listened when they said it was built extra-big for layering. I think the medium would've served me, but been a bit tent-like, with the shoulder seams well past the point of my shoulder. It MIGHT actually be BETTER that way, but I'm also pretty short-bodied, too, and I think the small will cinch up at a more appropriate belt level. For sheer survival - heck, I'm talking myself out of sending back the medium - the medium might've been better, because it's extra baggy. I had an old canvas-shell field jacket like that, and the bagginess made it warmer. Unlike the field jacket that I had no notion of waxing, 30 years ago, though, this AEGIS fabric is something else. Did I mention the fabric? It seems to be everything it's advertised to be. Very substantial, yet very light. Amazing stuff. And not as quiet as a mackinaw or soft-shell, but a shell for bad weather in all seasons. I'll still have my oilskins (waxed cotton) for crawling under my truck in mud, but this would serve very well in that capacity, if need be. But away from the truck, hunting or fishing? This is the gear I want. I tend to overheat in motion, so I wanted the 2-way zip, for heavy exertion in all weathers. You can fine-tune your comfort level with a quick hand gesture, and make a virtual cape out of it, with both zippers up around my chest. I'd be limited in what I could do in 40-degree weather with the Tahr Anorak, I think. Today (Friday) is one week since I sent it back. A gentleman at Woodlore has been corresponding with me. Replies to everything, just like I do with my students in Online Algebra! Guy empties his inbox every day, over there, fer sherz. Hopefully in about another week, I'll receive the small. I expect it'll be my go-to shell, instantly. Size: good fit. Hood: excellent visibility. Cuffs great for keeping wind and rain out. I do have a small issue with the pocket flaps (the piece with the studs that covers over the pocket). With gloves or a hat in the pockets the flaps leave gaps on the edges for rain to enter. 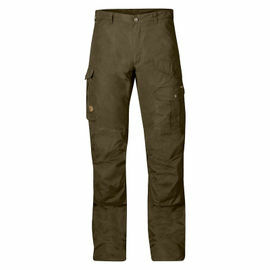 With a coat of this price an inch longer and an inch wider each side of the pocket would solve the issue. There are only 3 pockets which for me is ideal but they need to be waterproof when stuffed with kit. 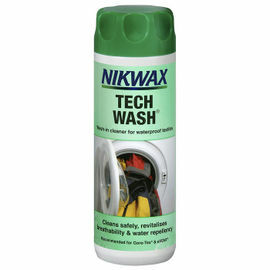 You will need to layer under the coat as other reviewers have said it's not a warm coat. Overall I am very pleased with my coat and I would recommend it. Excellent quality, as usual from Swazi products! Light weight and warm. Not tried out the waterproof qualities as yet, but with a fleece underneath it is wonderfully warm. 5 star quality that will last a lifetime. I am really happy with the Wapiti coat, great colour and style that I can wear around town not just in the woods. The fit allows for comfortable layering underneath without compromising movement. This is an important because the Wapiti alone will not keep you warm, it is a shell to keep out the rain and wind, but that also means you can wear and work in it when conditions are warm and wet without getting too hot and sweaty, as has been the case in weatherproof jackets I have previously owned. Work colleagues and friends, male and female, comment on how smart the coat looks, that has never happened to me before, although I am a little evasive when questioned about the price. 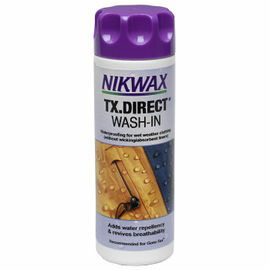 In my opinion it is money well spent, this coat is well made, feels strong and built to last rough treatment, it is also so light you will always pack it unless you're already wearing it. Thank you Woodlore for another great product. Cracking coat in every aspect of use, I don't know I am wearing it. It is lightweight and quiet. I also own the Swazi Windriver fleece and can not find a fault with either of the garments. Up to now, no complaints. Seems strong. Attention to detail. For now it keeps out the wind, I'm still waiting for the rain. This is an excellent outdoors coat. It feels very well made and having now worn it in a good range of conditions including seal watching from a boat I am confident it will continue to keep me warm and dry. 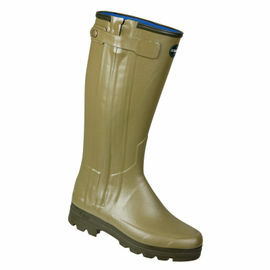 The styling makes it equally suitable for wearing in town and the countryside. The large pockets easily hold a pair of binoculars and the hand warmer pockets are very useful. The extra length has proved to be ideal for increased protection from the weather and staying dry sitting down without being too restrictive on the legs. It took me a while to decide to buy this coat which is priced at the higher end of the coat market but I am very happy to recommend it.